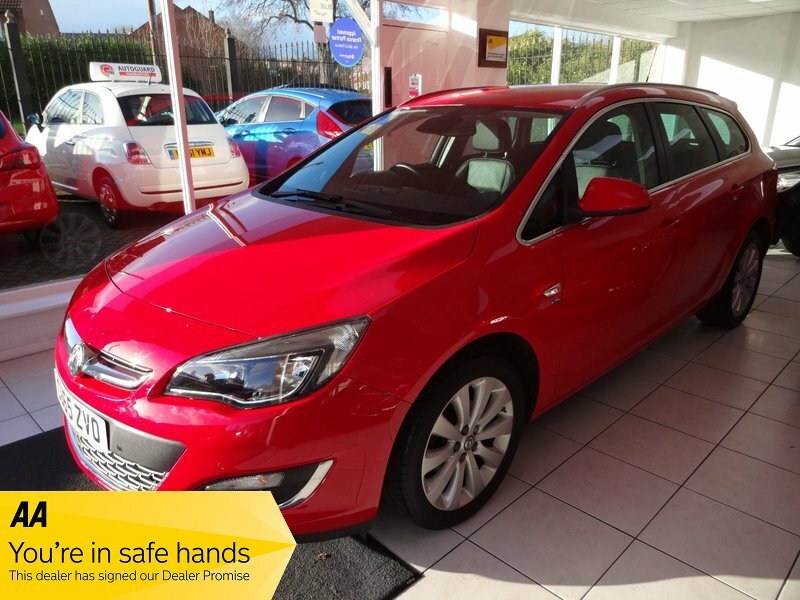 Full Service History With Regular Services Being Carried Out @ 9,148 Miles (Vauxhall Service Centre) - 18,407 Miles (Vauxhall Service Centre) & 25,933 Miles. 17" Elite Design Alloy Wheels, Full Black Leather Interior Upholstery With Complimenting Silver Stitching, Heated Driver & Passenger Leather Seats, Reverse Parking Sensors, Cruise Control, Roof Bars, Dual Climate Control / Air Conditioning, Radio / CD Player, Steering Wheel Multi-Function Controls, Rear Tinted Glass, Front & Rear Electric Windows, Electrically Adjustable & Folding Door Mirrors, Automatic Headlights, Automatic Windscreen Wipers, Remote Central Locking, 2 Keys Provided. 5 seats, Red.